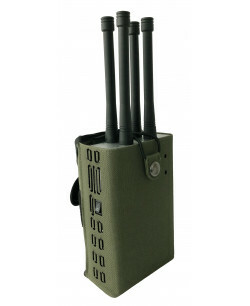 SPEC5 is the first ever jammer (and currently the only one on the market) with the ability to jam more advanced and more faster WIFI frequencies working on 5GHz spectrum. The 5GHz band operates at three standards: 802.11ac, 802.11a and 802.11n. 5GHz band becoming more and more popular nowada..
WiFi and Bluetooth frequency bands are commonly used to get access to the wireless internet. They use 2.4GHz frequency range for their work. Despite their unquestionable usefulness WiFi and Bluetooth frequencies may be used by the government for shady activities which might violate the privacy rights you definitely have. For example, indoor tracking that is spreading with the lightning speed. WiFi is actively used to track your location indoors, mostly through the hotspot location triangulation in a way similar to the mobile phone tower location triangulation. Bluetooth is also used for indoor tracking, particularly in Bluetooth beacons tracking technology. But WiFi/Bluetooth jammers can protect your privacy and hide your location indoors. The next threat you should know about is related to the wireless internet usage. Both WiFi and Bluetooth are poorly protected against hackers thus your personal data is in potential danger all the time if there is a wireless access to the internet nearby. Not only information about you can be stolen, there are far worse things might happen: law enforcement agencies can connect to your webcam and watch everything through it, or they can simply use hidden cameras and microphones, installed in your house, for eavesdropping and snooping on you secretly, getting back streaming data with the help of WiFi and Bluetooth connections.In this case you will need a powerful wireless signal jammer, bluetooth jammer or WIFI blocker. 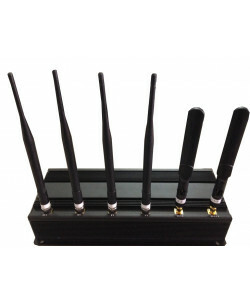 All these devices work on 2.4 GHz frequency so actually you will only need one device - 2.4 GHz wireless jammer. Nowadays smart house systems become more and more in demand. Devices connected to internet which are called Internet of Things are spreading everywhere. With such state of things all connected housewares may become eyes and ears in your own house, serving as exposure of your privacy to the government. 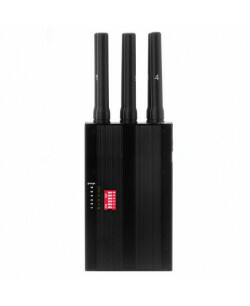 In this case only portable or destop WIFI jammer from this category will solve the situation in your advance. There are also some drones and UAVs (Unmanned Aerial Vehicles) controlled via 2.4G signals which might be also used to spy on you. 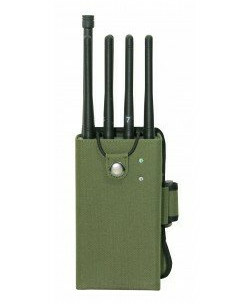 Though most part of those robots are operated with the help of remote controls, so to be absolutely sure that no spy drone will be used for surveillance on your private meetings, business operations or any other events of your life, you need to use Remote Control Jammers.